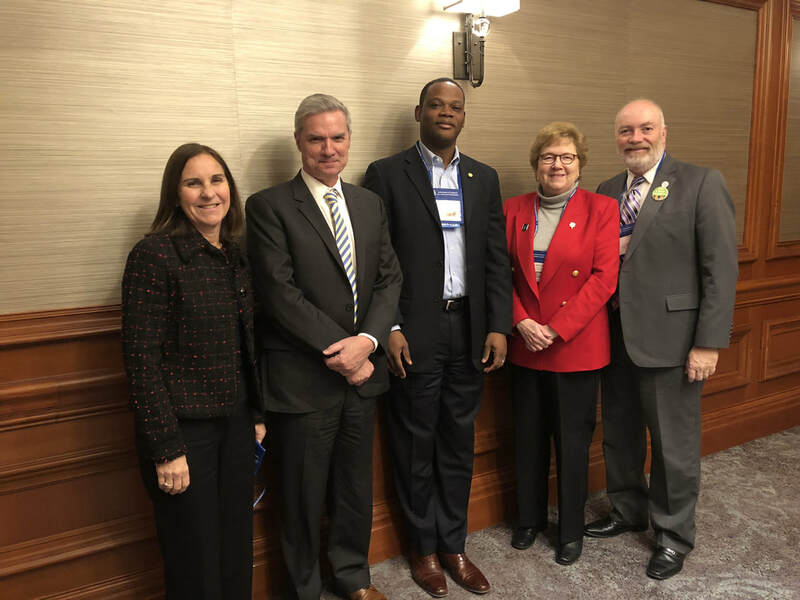 Administrators and staff from various campuses connected with each other at the Association of Catholic Colleges and Universities Annual Meeting. 19 of our CSSJ high schools come together in Boston for the 2016 CSSJ High Schools Conference hosted by Fontbonne Academy, Saint Joseph Prep Boston and Sisters of St. Joseph of Boston. ACSSJ looks forward to increased collaboration between the high schools and universities. St. Joseph's College NY and Mount Saint Mary's University Enrollment Management and Admissions colleagues met at the NACAC conference on September 23, 2016. Thanks to Christine Murphy, Vice President for Enrollment Management, St. Joseph's College NY, for organizing. ACSSJ international education colleagues Eric Apfelstadt, Mount Saint Mary's University, and Trachanda Garcia, Chestnut Hill College, met up at NAFSA Association of International Educators 2016 conference in Denver.